Recent statistics for Chile show that around 37 million ha (49 % of national territory) display diverse levels of erosion, with Regions IV, V and VI containing the highest eroded area, although human-induced soil erosion is concentrated principally from Region IV to Region X. Because the losses of soil quality (non-erosive processes) are not usually obvious they often receive less attention, but it is clear that they can cause a serious long-term economic decline by directly affecting agricultural productivity. 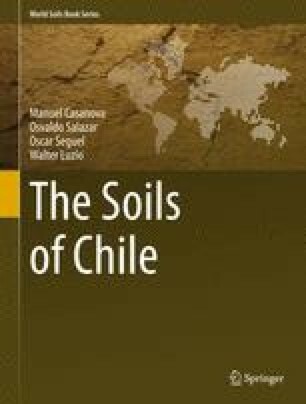 Therefore, this chapter aims to describe the relevant human-induced processes (erosive and non-erosive) in Chile considering available information on assessment methods used by various researchers. It is clear that the only thing that can save the country from accelerated soil degradation is a step forward in the ethical thought of man with respect to natural resources.